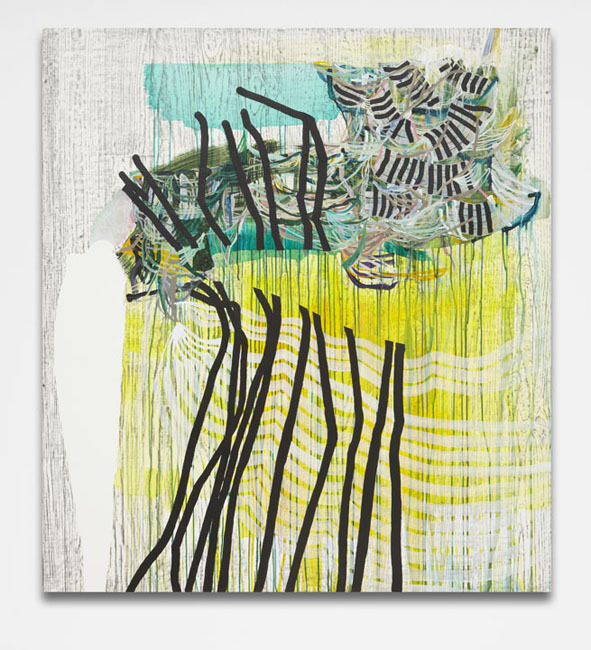 Rick Wester Fine Art is pleased to announce the second solo exhibition of paintings on paper this year by Alyse Rosner, a Connecticut based painter. 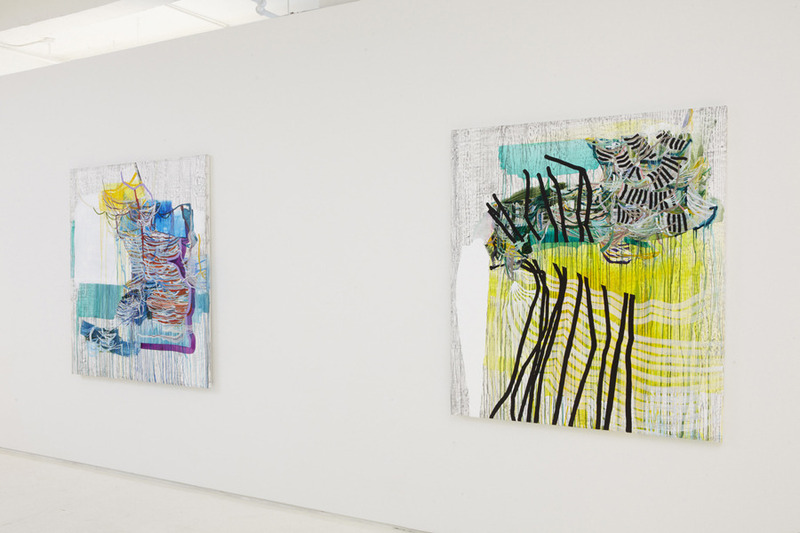 Her New York premiere of smaller scale works this past summer, Alyse Rosner: Premonitions, introduced the painter’s signature - and singular - approach to painting by combining graphite rubbing, ink and poured acrylic paint on the unique Japanese synthetic paper, Yupo. 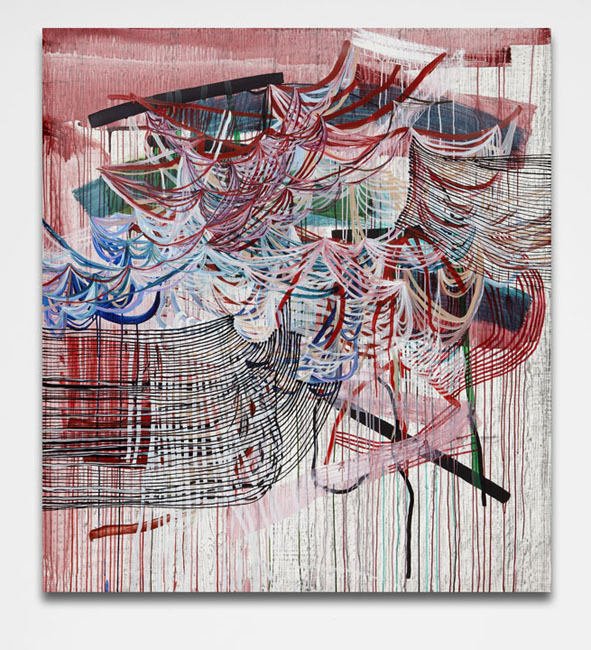 Premonitions, as the title implied, was a precursor to 7 Paintings but in this installation, Rosner has dramatically challenged herself to burst open previous formal conventions and allow the fundamental execution of the work to literally flow more freely. 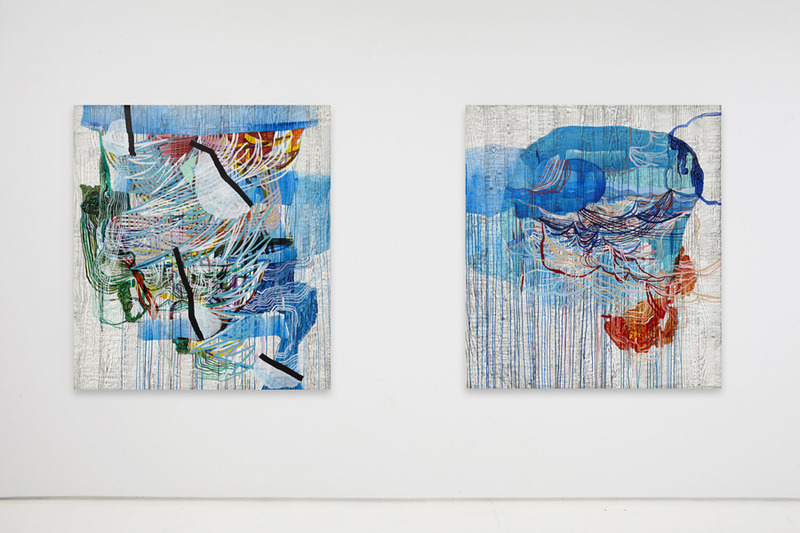 These works are far more elaborate in their gestural and pigmented discord, a feat accomplished by sometimes inverting and sometimes simply removing any reliance on shape based compositions. These seven works share a healthy disregard for their edges. While the paintings seem to float in arbitrary spaces defined by the chance edge of the stretched paper, their imbalance is a carefully planned construct, making order from the chaos of a controlled explosion. What does remain from previous works is the continued use of the graphite rubbing of wood planks from the deck outside Rosner’s studio - the starting point for her work. In a similar process to the photogram technique, each rubbing begins as a unique image. 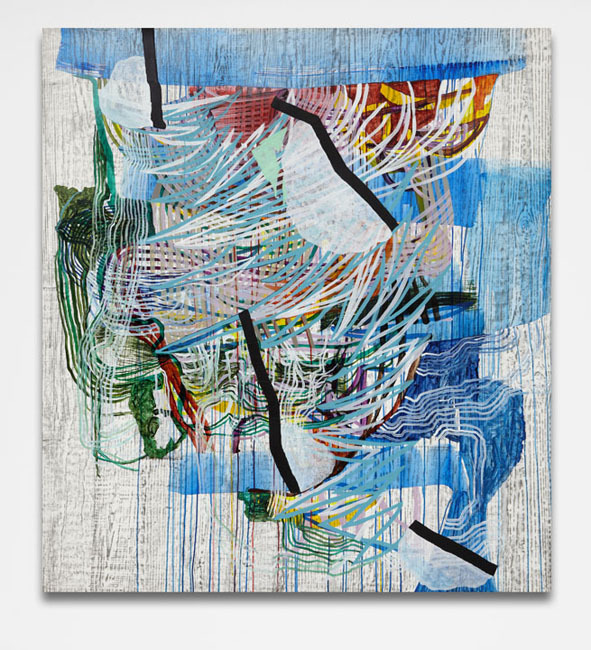 This self-referential element, the record of human touch, offers a direct connection and insight to Rosner as an artist. Often though it gradually disappears through the addition of paint over the surface, as if she allows herself to be absorbed into the painting, permitting the work to speak for her. 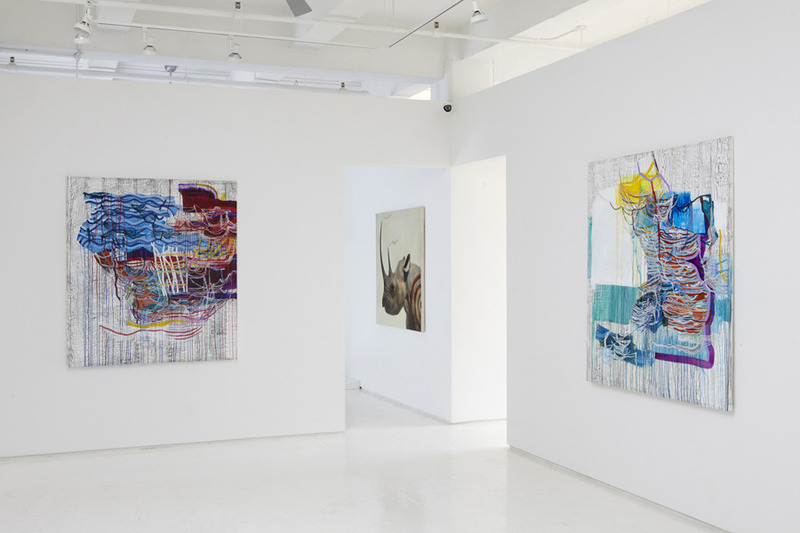 7 Paintings shows a remarkable artistic leap in form and execution for Rosner. The ease with which she has handled the increased scale over the works in Premonitions, belies the intricate interplay within each piece. 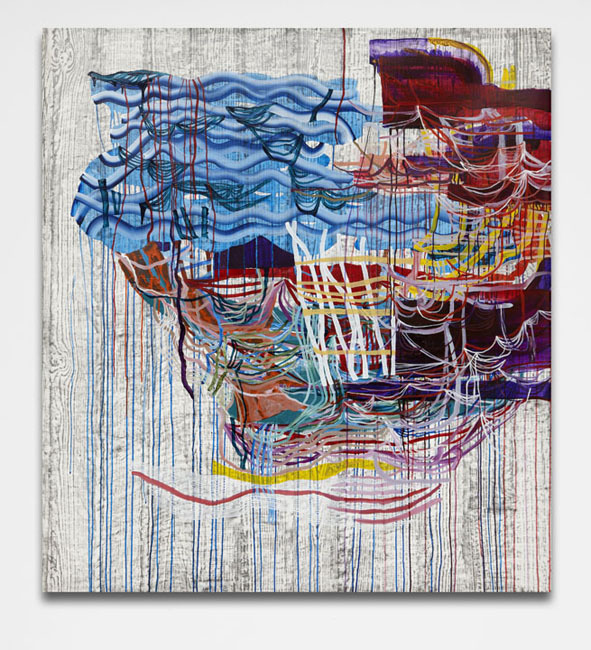 In 7 Paintings, more so than in the past, her gestural control and color are inextricably woven together in a seamless process. Growing out of the graphite documentation of the wood grain from her studio, she builds on both the notion and fact of the organic. The paintings become visceral objects and comprehending the beginning and the end is more than hidden. It is simply invisible.